For the last two years (see 2011, 2012) Jenn and I have been collaborating on a post we like to call "Our Favorite Things". Each year its an opportunity to look back on the year that was and remember the TV, Music, Movies, and memories we want to remember from those years. So as is now tradition here are our favorite things from 2013. Joel - What a year 2013 turned out to be for TV. In a lot of ways I’m probably most torn by this category. At the end of the day it came down to four shows. First is The Daily Show with Jon Stewart. We watched the Daily Show more than any other show in 2013, and loved every minute of it. Second is Newsroom which might be the most entertaining show of the year. Third is Game of Thrones which as always remains one of the best shows on TV. Its the perfect amount of "nerding out" that I need during a year. 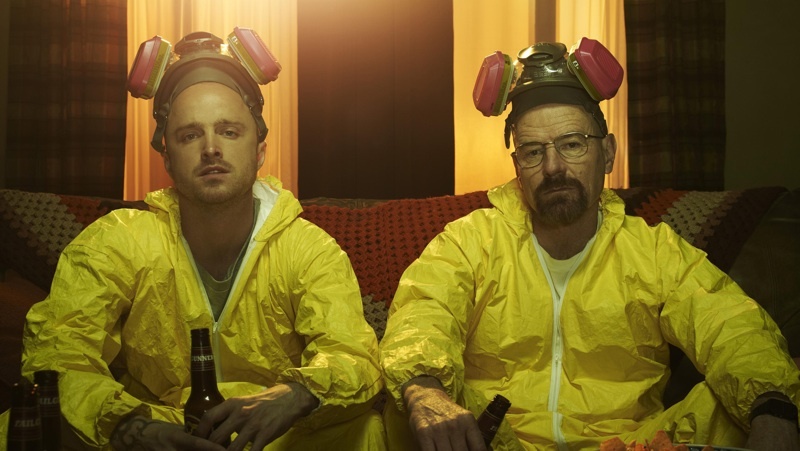 When it’s all said and done and I look back on 2013 five years from now I will remember this year for Breaking Bad. The culmination with the final season of one of the best shows ever made lived up to all the hype and then some. It had literally some of the most chilling and nerve wracking scenes I’ve ever watched and I will never forget it. Jenn - So first I have to say that this “category” goes to The Daily Show. Having dinner with Stewart and (Oliver!!) is such a joy, the comedic writing on the show is so good, and I always look forward to watching it. I am so going to miss Oliver, but still look forward to what Stewart brings in 2014. I also cannot mention Stewart without saying that Colbert is pretty awesome too, his “character” on the show is just hilarious. In terms of a TV series, this may actually come as a surprise, but I am really going to have to go with Downton Abbey. Although Breaking Bad was amazing, and it I was sooo sad to see it end this year, it just got so dark and depressing. Plus I loved trying to mimic the English accent on Downton and calling Joel Mr. Crawley. PLUS for Christmas Joel got me the full first season script, I am in HEAVEN. Hahaha. Besides Breaking Bad being the OBVIOUS and VERY close second choice, I also have to say Game of Thrones this year was FANTASTIC, especially the Red Wedding episode. And Newsroom is like second place in a half, I just always feel so intellectual watching it, love the acting, writing and storyline, it is a top notch show. Honorable mentions - Dexter, Mad Men, Veep and Parenthood. Oh and a shout out to the Mindy Project for those quick 30 minute albeit corny laughs! Jenn – LOL hmmm this is tough. Joel and I just started getting back into the Amazing Race and picking our favorite teams, so that has to be my first choice. But close second is always the Bachelor franchise. Making fun of that show is a true highlight for me every season. Who doesn’t love the corny music and long drawn-out cameo shots of people awkwardly staring at each other?! Joel - Five years ago Jenn and I got really into The Amazing Race. We would pick teams in the first episode and duel it out until the finale. For some reason we went away from the series and stopped watching. This fall for no particular reason we got back into the show and fell back in love. We just have a lot of fun making light of all the teams. It doesn’t hurt that my team won this season. Joel - I don’t even know where to begin on this year’s movie. There are three standouts that come to mind and none of them are one’s I could have predicted to be in the running for my favorite movie of the year. The first is The Internship with Vince Vaughn and Owen Wilson. It was yet another great comedy with the duo where they get jobs as interns as Google. Second is The Way, Way Back which was an incredible coming of age story about a kid on summer break dealing with growing up and a changing family. My movie of 2013 ends up being About Time an incredible romantic comedy that combines my two favorite things; British accents and time travel. It’s a movie I can’t wait to add to my personal library and watch for years to come. A truly incredible movie. Also just a side note. Had I known I could have picked a movie released in 2012 as my favorite movie of 2013 I would have also picked The Perks of Being a Wallflower. Jenn - So Joel had to remind me of what we saw this year, lol, but after he did, I realized we watched some pretty awesome movies this year. I think my favorite this year has to be The Perks of Being a Wallflower, I could live the rest of my life quoting that movie, so deep and powerful. On the same lines, The Way Way Back, was an excellent movie, although very sad, but a top contender nonetheless. I have to mention The Great Gatsby merely because I am a huge Leo fan, and LOVED the music in that movie, I watched it on our plane flight home from Bali for that sole reason. In terms of a cute love story About Time was great, not as big of a fan of time traveling as Joel, but it was still a great romantic movie to see with the hubby. For a great laugh I would go with The Internship, I seriously love pretty much every Vince Vaughn movie, and this was no exception. His dry humor gets me every time. Also have to give a shout out to The Hobbit, its traditional for Dad and I to see it, and this year, with the dragon in it, it actually was pretty cool. Lastly, for the kid in me, really enjoyed Despicable Me 2, not as classic as the first, but still made me giggle. Jenn - Have to go with Wake Me Up by Avicii. Love the lyrics on that song. I also on occasion bumped Hallelujah by Jeff Buckley (who doesn’t love that song?). And Safe and Sound by Capital Cities was always a great pick me up. Joel - I don’t listen to as much music nowadays given all of the audiobooks and podcasts I listen to on my commutes to work. But every once in a while the mood will hit me right and I’ll decide to throw on some alternative music and rock out for a bit. The song I went to more times than any other in 2013 was Pompeii by Bastille. Joel - This category is a toss-up for me between The Lumineers and Imagine Dragons. Although their albums were both released in 2012, I listened to both of them quite a bit throughout 2013. If pressed I would go with Imagine Dragons just given that I like more of their music. They had an incredible array of songs including On Top of the World, Radioactive, and It’s Time. I would be remiss to not mention that Lana Del Ray had some pretty great music for The Great Gatsby this year as well. Jenn - Definitely Of Monsters and Men. Thanks to the new Walter Mitty movie, I wanted to buy two more songs off their recent album and realized at that point I might as well buy their whole album, and am SO happy I did, I seriously have played through that whole album twice now and love each of the songs on it, they have to be my favorite artist this year, love their style of music. Also always have to give a shout out to Mumford & Sons! Always blasting their music every time it’s on the radio or on my iPhone playlist! 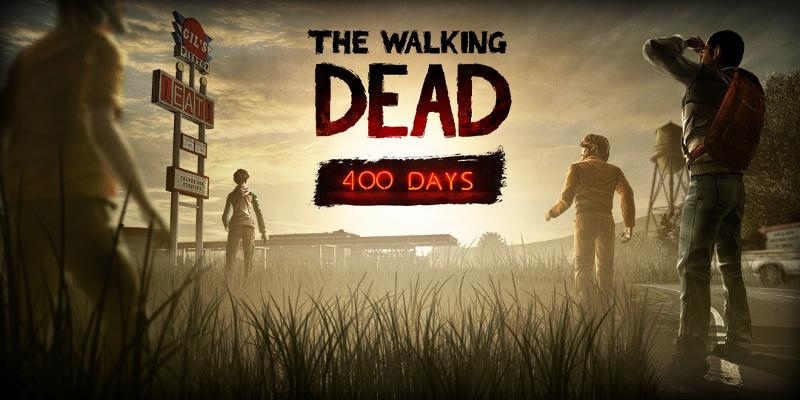 Jenn - Walking Dead – 400 Days, VERY close second is The Wolf Among Us. I LOVE playing those type of games with Joel. Telltale does such a fantastic job of immersing you in the storyline. Total nerd in me is that in The Wolf Among Us I loved seeing fairy tale characters come to life in an alternate way, its hard to describe, but playing that game was AWESOME. Joel - I posted my top five games of 2013 a few days ago, but by far my favorite game of 2013 was The Last of Us. The narrative connected with me more than almost any game I’ve ever played. The complexity of not only the games main characters of Joel and Ellie but the world in which they lived is unparalleled. I absolutely loved the journey that you take in The Last of Us and for that it received my vote for Game of the Year. Joel - I’m going to cheat and pick two books as my favorite books of 2013. To my defense the books are the first two from Patrick Rothfuss in a trilogy about Kvolthe and his journey. Both The Name of the Wind and The Wise Man’s Fear were not only my favorite books of the year but some of my favorite books I’ve ever read. Think of it as a mix of Game of Thrones and Harry Potter leaning more towards Game of Thrones. I literally cannot wait for the third and final book in the series. Jenn - This year was a disappointing year for me in terms of the quantity of books I read, which I am hoping to fix next year as part of my 2014 goals. Regardless, I think I will have to go with Sandberg’s Lean In solely on principal, and to advocate that every working woman should read it. It inspired me to keep pushing towards my professional goals and helped me recognize I am not alone in a lot of my thoughts and perceptions, plus its my job, lol. And as every year goes, my mom’s devotional and the Bible will always be my all-time favorite books. Jenn - OK I have to be lame and split this into two categories. In terms of a “memory” it has to be Joel and I cooking our first Thanksgiving meal together, that honestly was so much fun, and a dream come true for me, and we actually did a pretty good job at it to!! In terms of food quality, ambiance and backdrop, that has to go to our first meal at the Alila Villas in Bali, just to be there was incredible, and watching the sunset on a cliff overlooking the ocean as your backdrop was surreal. Not to mention the food and company was top notch. Haha, and the photo of Joel holding his glass of wine their looking all snooty and elitist will always make me smile. Oh! I just remembered one meal though that I want to mention – the Italian restaurant in Miami, Joel found it down the street from the Epic where we stayed, and although it wasn’t anything overly elaborate, the conversation and meal with him there was something I will never forget, he and I just laughed and laughed. Oh my gosh, I almost forgot! Have to mention watching Joel flip pizza in the Lawn Club Grill on the Celebrity Reflection ship in front of everyone in the restaurant was PRICELESS. Joel - My favorite meal of 2013 has to be the two dinners we had at the Alila Villas Uluwatu. After a week of odd food in both China and Bali it was so nice to have an incredible meal with an even better view. Jenn and I had so much fun overlooking the beautiful ocean views and drinking wine and eating great food. They were meals that will be with me for a long time. Joel - The moment when we reached the top of the Great Wall and both Jenn and I screamed that were on top of the world, and to be honest it felt like we were. I never thought I would be able to travel to the Great Wall and the fact that it was even more beautiful then I could have ever imagined made the journey even sweeter. Jenn - I am so grateful to say this year has been peppered with some pretty amazing moments. 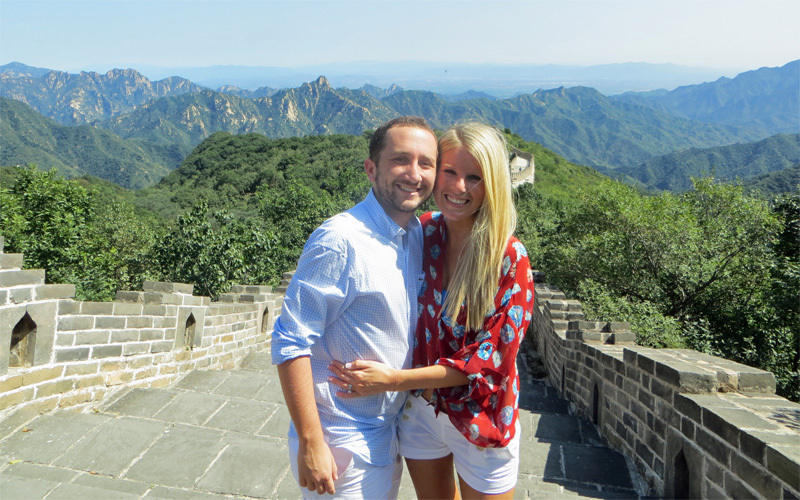 But the best moment for me was being on the Great Wall with Joel. I felt on top of the world, literally. I am so grateful that Joel made us climb to the top, even though it was terrifying and exhausting. I so wish I could have bottled how I felt in that moment standing there with Joel. To have been able to accomplish another bucket list item…well it leaves me so grateful and speechless. And to have done it with the person I love most in this world, honestly it was like a dream for me. Seeing Joel’s face up there is something I will never forget. He seemed so elated and in awe, and its an experience and moment I will never forget for as long as live. Jenn - Hahah this is so shallow but my recent purchases at the Loft and DSW. I have never worn more comfortable jeans in my life, and the shoes I got are just flat out adorable. Joel - My new Macbook Air which I’ve been wanting for years. When Apple announced that they updated all of their Air’s back in June I immediately put in an order for a new 13” Macbook Air and I’ve abused it ever since. I continue to use my laptop every day to surf the web and more importantly work on Darkstation. It’s a fantastic device. Joel - I think I have to pick my iPhone 5 again. It’s still my go-to device on a day to day basis. I love this phone. The apps continue to get better and the fact that the camera on it is as good as my point and shoot is incredible. My close second for favorite electronic of the year is my new Playstation 4 which I’m absolutely in love with. The new user interface is incredible and makes the whole experience delightful. Jenn - Actually I think it’s going to be the Kindle this year I got from Joel’s parents for Christmas. That thing is awesome to read on, and really sparked my interest to start reading again! Jenn - In terms of relaxation I actually have to go with cruising on Celebrity’s Reflection, going to the Wine Cellar nightly, eating at the specialty restaurants with good food, hitting the spa every day, watching the sunset on our balcony, well that’s just the way Joel and I like to travel. But in terms of “sights” I would have to say Beijing, purely for the Great Wall and Forbidden City. I have never felt more like an outsider, but more immersed in a culture then in China. Bali was awesome too, don’t get me wrong, but I am more of a sightseeing city girl than a beach girl! Ironic since we live in Newport! Hahha. Maybe it’s because I see the beach everyday. Joel - We went on two incredible vacations this year, the first on a Caribbean cruise, and the second to China and Bali. I think out of all the stops, I enjoyed China that most. It’s a surprising choice because the food really wasn’t all that red hot but the history of Beijing was unforgettable. 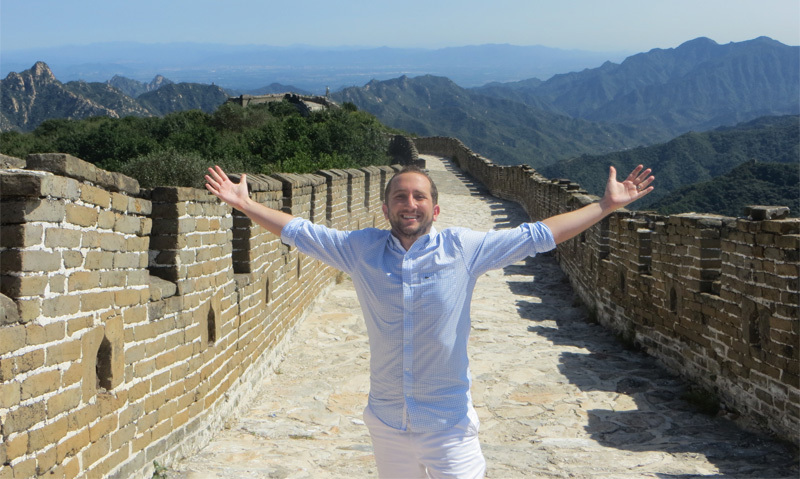 I’ll never forget getting ripped off near the Forbidden City, walking around Tienanmen Square, and climbing the Great Wall. Memories to last a lifetime. Joel - This is the easiest category of the year for me. My favorite hotel of the year was the Alila Villas Uluwatu in Bali Indonesia. We went big for two nights in Bali and it was so worth it. We got a one bedroom pool villa with ocean views and it was the nicest hotel I’ve ever stayed at in my life. I’ve never been so relaxed in my life and I will always remember synchronize swimming in our private pool and having that feeling like I never wanted to leave. Jenn - Hands down Alila Villas in Bali. I have never ever in my life stayed in a room as nice and dreamy as that one. I literally felt like I was dreaming and that I finally “made it.” That grin on my face stayed planted on my face the whole time we were there. The hotel was the most exclusive, elitist resort I have ever been to, and I hate to admit it, but I loved it. They pampered you every moment you were there. You walked into a lobby which had ponds and an infinity pool that overlooked the ocean with bungalows on cliffs, and the VILLA we stayed in…. the private pool was perfection, that whole villa was, if I never had to leave, I never would. I could gush on for hours about that place. It far exceeded my expectations in every way and was the perfect way to celebrate our 4 year anniversary. Jenn - Just wanted to truly praise God for blessing Joel and I with another amazing year. Starting 2013 I was very nervous. I was one month into my new job, sold my car, and really became “all in” with a focus on our future and being a true “adult.” And being able to look back on 2013 I have to say God could not have blessed us anymore than he did, and I feel so undeserving. My job turned out to be such a great blessing for our family, both financially and personally, and God blessed Joel with a promotion, which I was so dang proud of him for. And although I am desperately missing my best friend, my mumsie, daily, being able to visit her and commemorate her this year really lifted my spirits, and in my current role, I feel her so close to me. I also was able to really reconnect with my dad again and have lunch with him weekly which has been a true blessing. Joel and I (although seemingly unbelievable) have grown more in love and closer this year than any year we have been married, or been together, which has made me unbelievable happy. He has also become quite the chef, which I love. And although there was a definite “classic” moment this year, my true favorite moments happen every day when I walk home from work, and Joel meets me half way and hugs and kisses me and walks me the rest of the way home, and I walk into the house and he has cooked dinner, and we talk about our days, laugh at the Daily Show and take a walk that evening together. I do not know why God has blessed me with such a beautiful life, but I praise him every day for it, and the husband, family and friends I have. I pray in 2014 my relationship with God, Joel and my family only grows deeper and I seriously cannot wait to see what’s in store for next year.